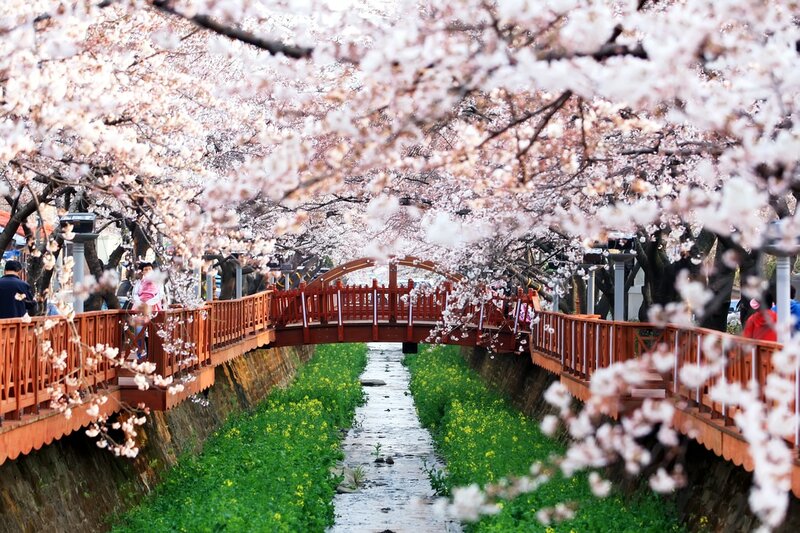 ✓ Korea's largest cherry blossom festival, Jinhae Gunhangje Festival. ✓ Perfect for Family ！Attracting at least 2 million visitors every year! 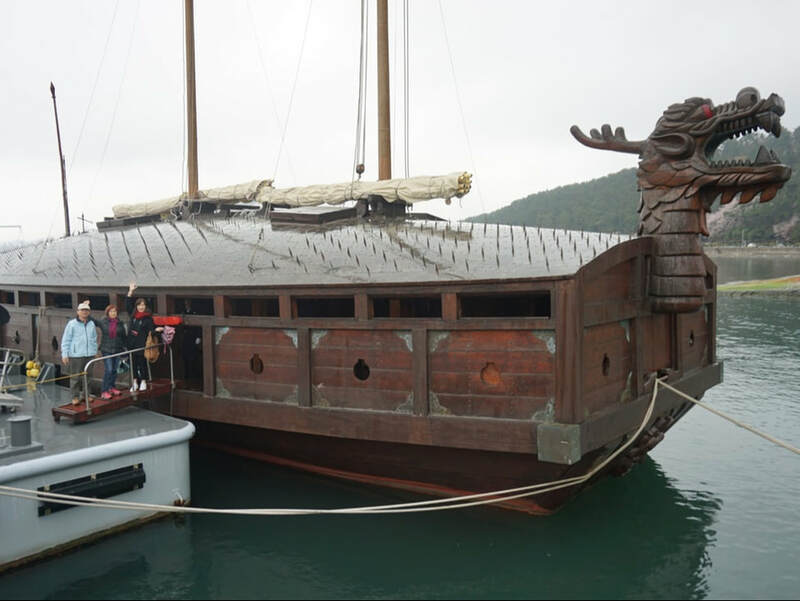 Korea Naval Academy and Naval Base Headquarters are popular as unique attractions due to the fact that they are open to the public only during the festival period. 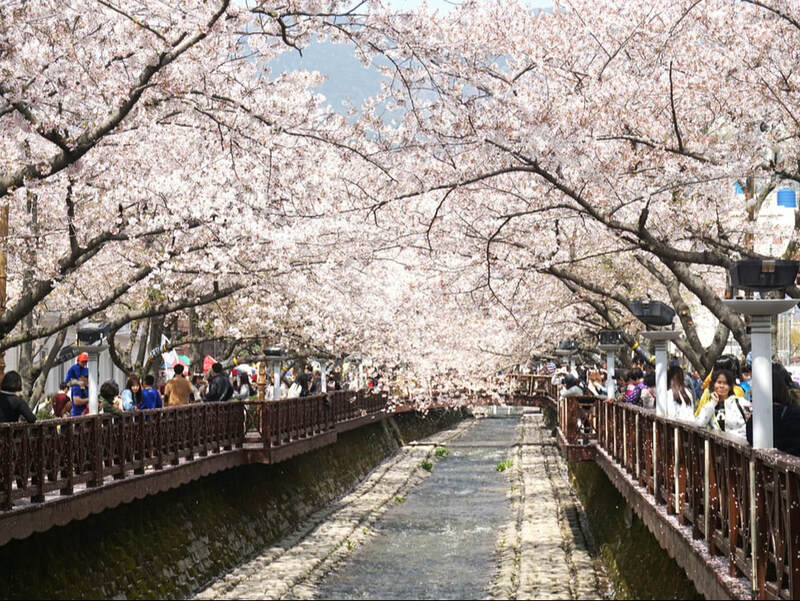 Cherry blossoms lined along both sides of Yeojwacheon Stream form a white tunnel, making it the best cherry blossom attraction in Jinhae. 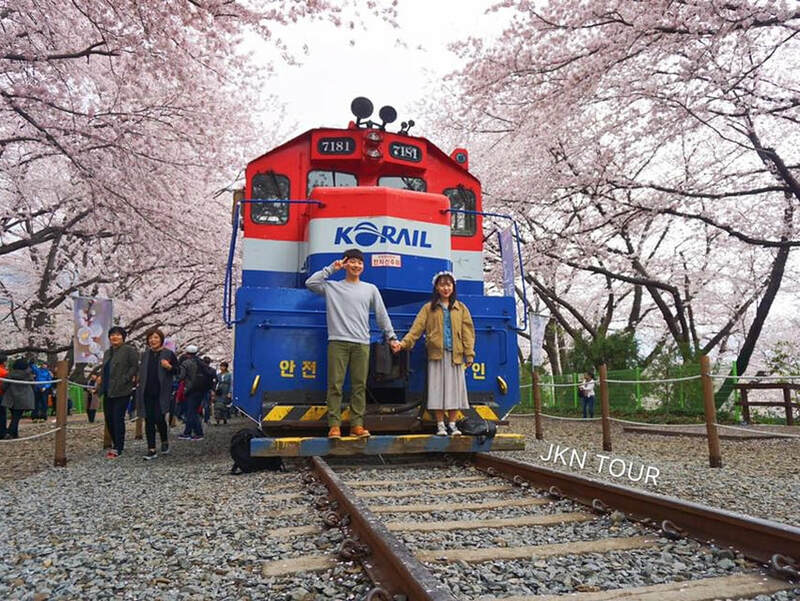 Gyeonghwa Station is a cherry blossom-themed station that operates only during the festival period. 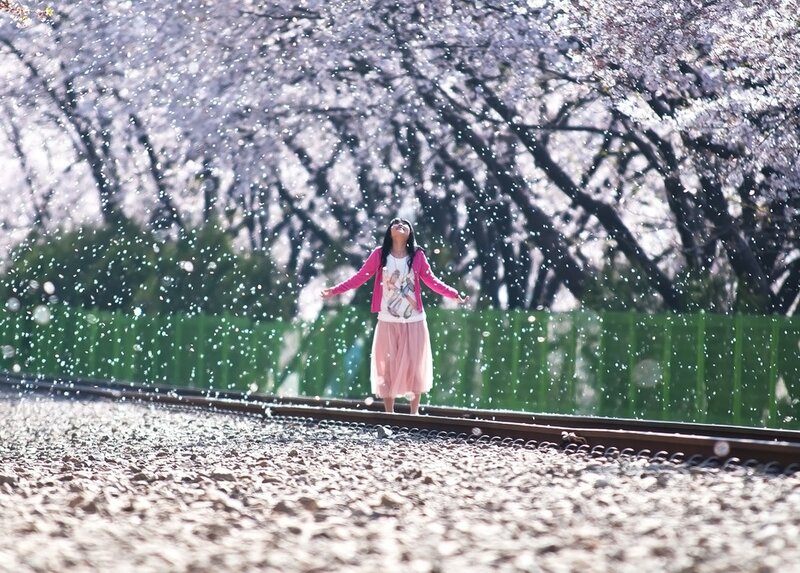 Along with the train, the cherry blossom tunnel that stretch for approximately 800 meters creates a fascinating scene, forming a perfect backdrop for amazing photos.